As lip fillers are becoming more and more popular I thought I’d show you show you different types of lip fillers that I have done recently! People get lip fillers for many different reasons such as uneven lips, crooked lips or thin lips. It’s important to look at every pair of lips differently to see what they need and avoid the dreaded trout pout or duck lip! Michelle wanted to improve her lips and like many of us wasn’t particularly sure what needed to be done! Looking at the picture of her lips below from 3 angles and postures we decided that her bottom lip was a little too thin for her top lip, which you can see when she is not smiling or from her side profile. If you look at the line (Steiner’s line) on the picture you can see that the bottom lip is level with the top lip. The perfect ratio for a lip is 1:1.6 meaning the bottom lip should be slightly bigger than the top. Michelle actually has a slight overbite (like most people, but a little more pronounced) which was making her top lip look bigger than her bottom. We did a treatment in two sessions adding most of the filler on the bottom lip (it usually goes there) but turns out we needed to do a second ml to complete the look and have them completely even (no trout pout here!). Now you can see her bottom lip provides a much better base for her top lip. Both are fuller and we added about 1.3ml on the bottom and 0.7ml on the top. We also improved her definition by adding filler to her philtrum (the two lines above your lips going up towards the centre of your nose). Look at the difference in her side profile and how much better she looks with the bottom lip slightly in front of the top. When you look at her bottom lip straight on it may still look a little full, however this was taken straight after the treatment and will calm down in a day or so. Lisa (not her real name) was quite nervous about having treatment done, and wanted something natural. That said she wanted to improve her definition. Lisa’s proportions were perfect, however she wanted her lips plumper and and wanted a more defined cupid’s bow. The cupids bow is the unique shape that sits on the top lip. Looking at the before and after you can see that the lips are a little fuller afterwards and they also have a more defined bow. We used about 15% of 1 ml of filler to create the bow, and the rest went into the ‘body’ of the lips to get the size increase. 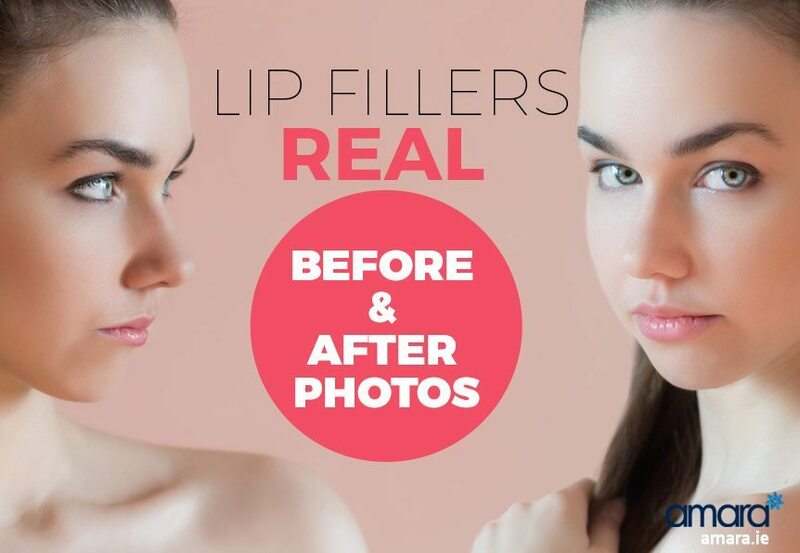 I hope you like the before and after pictures and see that lip fillers really work on almost all lip types! Do you have any questions about lip fillers or would like to book in for a consultation? Just comment below or click here!